THE GOVERNMENT TODAY launched its national drug strategy for the next eight years, with a focus on developing a health-led approach to drug and alcohol use in Ireland. A working group to look at approaches taken in other jurisdictions to the possession of small quantities for personal use. Family and parenting skills programmes to engage with high risk families. Developing protocols between addiction services, maternity services, children’s health and social care services. Strengthening support for adults leaving the care system. A working group to examine harm reduction responses for young people, including drugs testing and amnesty bins. Examining progression options for those exiting treatment and prison. 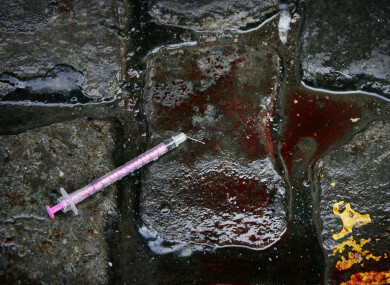 Expanding the needle exchange programme and establishing a pilot supervised injecting facility. Developing joint protocols between mental health and addiction services. Examining the need for specialist services for older people with longterm substance use issues. Investing in measures to support gardaí in monitoring drug markets, in particular the darknet. Speaking at the launch of the strategy, Taoiseach Leo Varadkar noted the most recent figures for drugs deaths from 2014, when 697 people died. Three-quarters of them were male and half were under the age of 40. “That’s more than three times the number of road fatalities in the same period. It’s more than twelve times the number of recorded murders. Every avoidable death is a tragedy,” he said. In a Republic of Opportunity the person suffering from substance abuse is not marginalised, or ostracised, or blamed and then forgotten. He or she is given a second chance and they are helped recover. So, treating substance abuse and drug addiction as a public health challenge, rather than a criminal justice matter, helps individuals, helps families, and helps communities. It reduces crime because it rebuilds lives. So it benefits all of us. Varadkar said there are many reasons why people develop problems with drugs and alcohol, including early school leaving, parental neglect, genetics, mental health issues and homelessness. “In the past, Irish people often had a cold view on social issues,” he said. Minister of State for Health Promotion and the National Drugs Strategy, Catherine Byrne, thanked all of those who had taken part in the public consultation process on this strategy, particularly former addicts and the friends and families of “loved ones trapped in addiction”. She said this plan is all about making this country a “healthier and safer Ireland”. “The one word that runs like a thread through this strategy and that word is compassion,” she said. Services will be person-centred, according to the Minister, as it is the person with the addiction who “has the answers”. Byrne spoke of living and working in a community in where she has seen individuals, families and children destroyed by the scourge of addiciton. The minute the word gets out – drug addict – it’s like it labels the person forever. Well, here’s the truth: Every drug addict is different, but they’re all human. They all aspire to having hopes and dreams like all of us here this morning. Unfortunately, because of their circumstances their life is put in a situation where drugs or alcohol seem the only solution at the time for them. Email “'These people matter': The government's new 'compassionate' plan to tackle drug addiction”. Feedback on “'These people matter': The government's new 'compassionate' plan to tackle drug addiction”.